Evening Song started life in the mid-90s, on my CD Pictured Within, with lyrics and vocals by Sam Brown. It was written about that wonderful time of the evening, or also perhaps the time in your life, when you are prone to sitting, staring out of the window as the sun bleeds from the sky, and it’s all rather gentle and beautiful, the birds are flying home, gratitude replaces concern for the humdrum, and peace descends. There are two extant arrangements of Evening Song. The first is Jon’s original, as used on the Pictured Within album, with lyrics and vocals by Sam Brown. 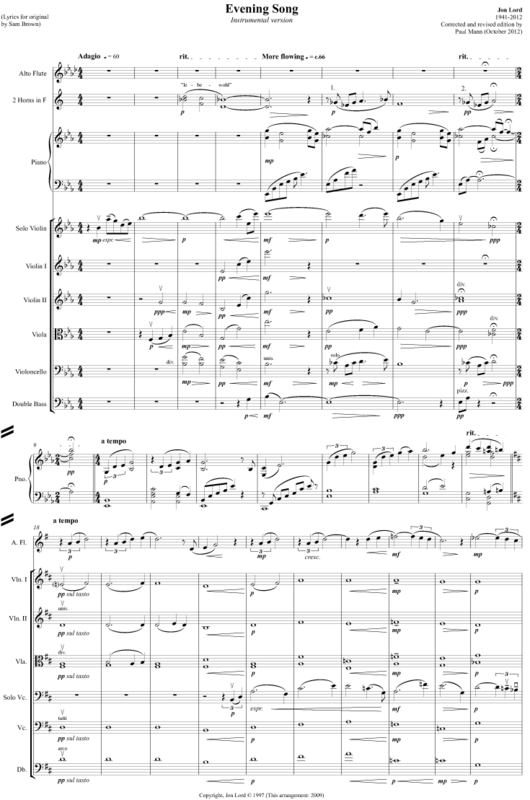 It is clear from the score layout that he started out by keeping his options open to use a larger orchestra, but evidently decided against it, settling for strings and a single French horn. 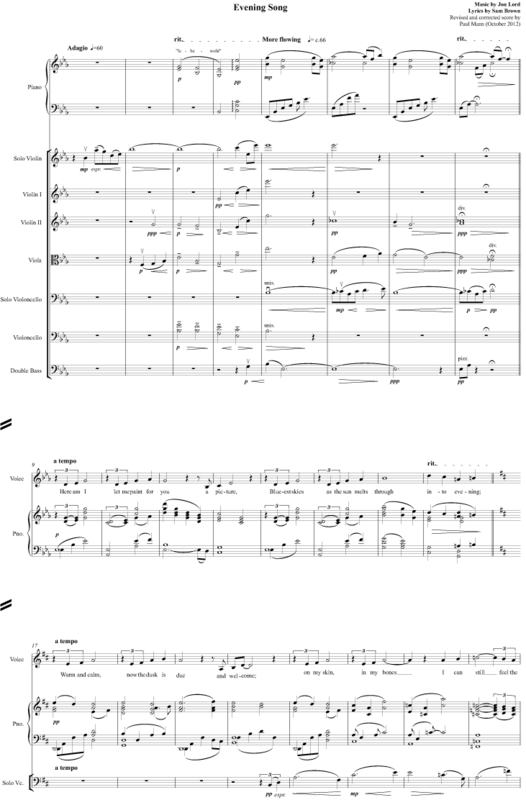 I have edited his sometimes incomplete score, occasionally taking a lead from the more detailed instrumental version which he prepared for the To Notice Such Things CD (see below) but haven’t dared to go further. It is in any case difficult to see what could be added to the instrumentation of a song which, like its equally touching counterpart Wait A While, is all the more deeply affecting for its restraint.